In figures released today, the SETsquared Partnership, including the Bristol centre will contribute £26.9 billion to the UK economy by 2030. The global no.1 business incubation and start-up growth acceleration network, comprising five research-intensive universities: Bristol, Surrey, Bath, Southampton and Exeter, will also create over 22,000 jobs according to an independent research report published by Warwick Economics & Development (WECD). SETsquared operates five incubators on, or near, each partner university’s campus. The Bristol SETsquared Centre is based at Engine Shed in the heart of the city’s Enterprise Zone. Through the centre, which offers 115 desks across 16 offices, entrepreneurs have access to business coaching and mentoring, workshops, networking events and strong links to the university. 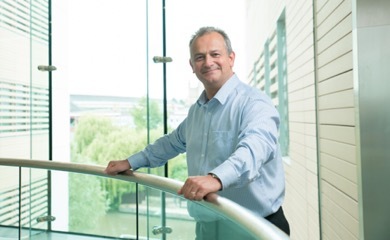 One of the incubator’s global success stories is Bristol-based Ultrahaptics, a University of Bristol spin-out which was established in 2013 and has successfully raised £31M investment to date. The company has developed a truly exceptional haptic technology that uses ultrasound, to enable people to feel virtual objects in mid-air with their hands. Ultrahaptics has seen phenomenal growth across markets from automotive and VR, and has clients including BOSCH, Dell, HARMAN and IGT and has doubled in size over the past 12 months.